On the evening of December 23, TASCHEN Hollywood hosted a Holiday Celebration with popular artist Mark Ryden, who arrived with several members of his family in tow, including his wife Marion, and two of his favorite muses – his son, Jasper and daughter, Rosie. Mark signed copies of both Pinxit and The Gay 90’s as throngs of holiday shoppers looked on with absolute delight. The festive atmosphere was enhanced with a Holiday Sangria, concocted especially for the event, as well as twinkling lights and candy canes that were given to everyone who patiently waited to get the perfect holiday gift. DJ Tim Biskup spun an eclectic mix including classic holiday songs, contemporary pop and hip hop. All the while, Mark furiously stamped and signed books as family and guests danced the the December night away. 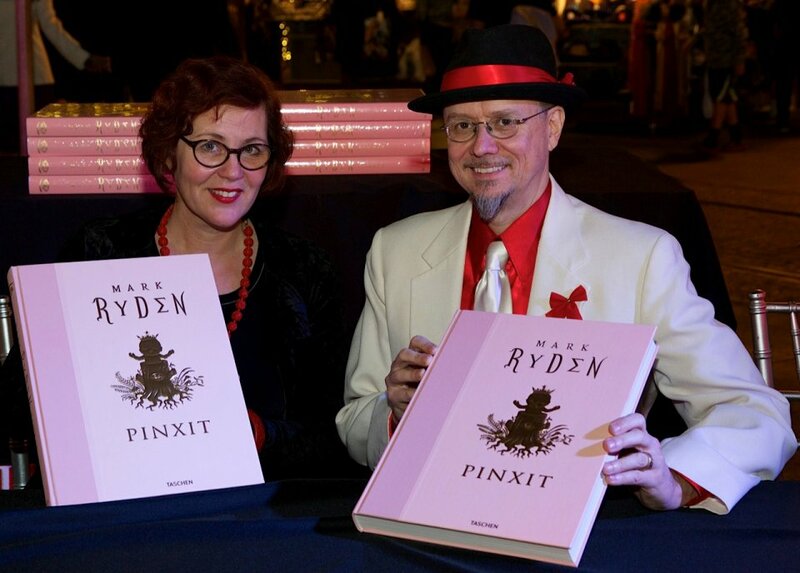 Special thanks and gratitude go to Mark Ryden and Marion Peck creating a truly memorable evening. Guests eagerly awaited Mark’s arrival and enjoyed the festive Holiday Spirit at TASCHEN. © Dalmiro Quiroga Mark took a quick break to have his picture taken with adoring fans. © Dalmiro Quiroga Mr. Ryden surprised guests with bookmarks, adding another element of delight to the evening.